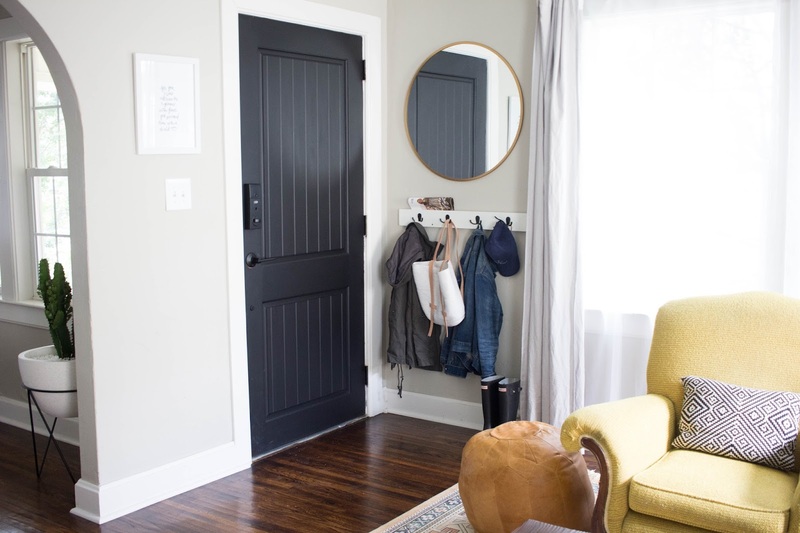 I shared in this post how to make an entryway out of a small space. We've been living with the entryway for a few weeks now and love the change! Plus, I feel like I actually hang up my keys or bag when I get home...even if we often come through the back door. The mail organizer coat rack was a nice addition that has kept our dining room table clear of clutter. 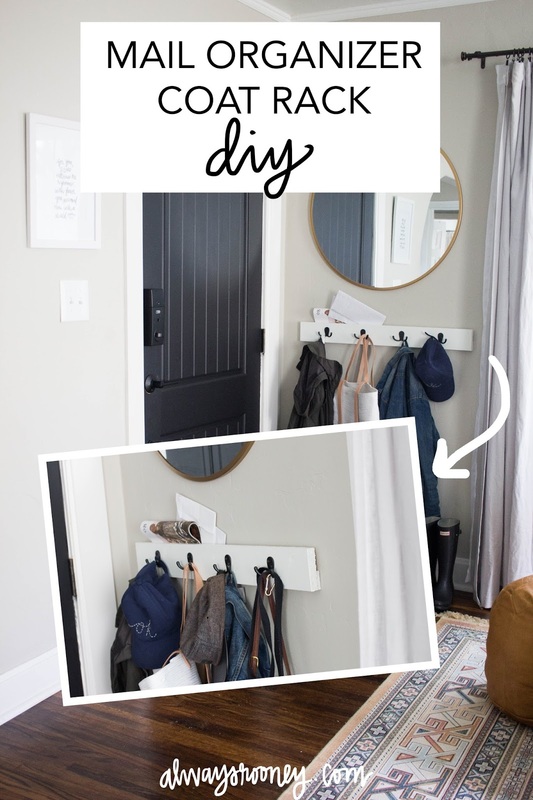 I love when DIY's are functional and this one is no exception. You can whip this up in 15 minutes, easily for less than $15 (it is even cheaper if you already have hooks!). The best part is it is fully customizable. 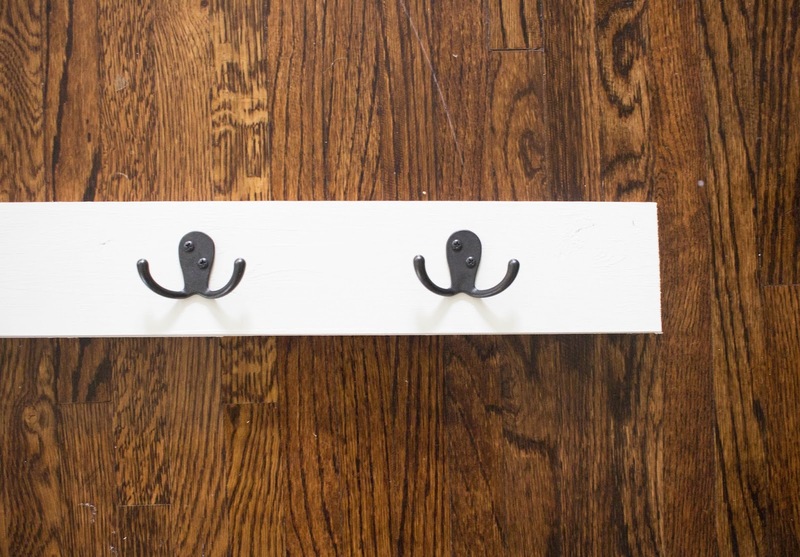 You get to choose your hooks, stain or paint, and size. 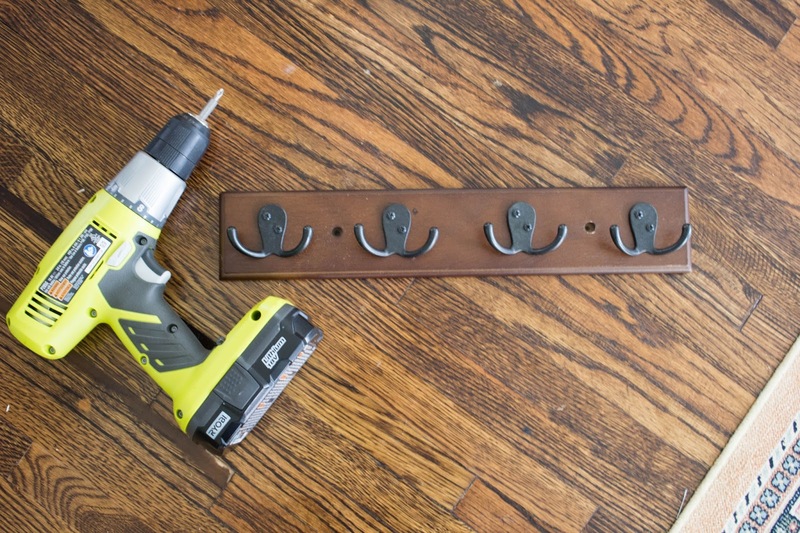 First, I started out by removing our old small hooks from the wall and disassembling the hooks to repurpose them. I liked how they were already black and they were simple. Skip this step if you bought new hooks! 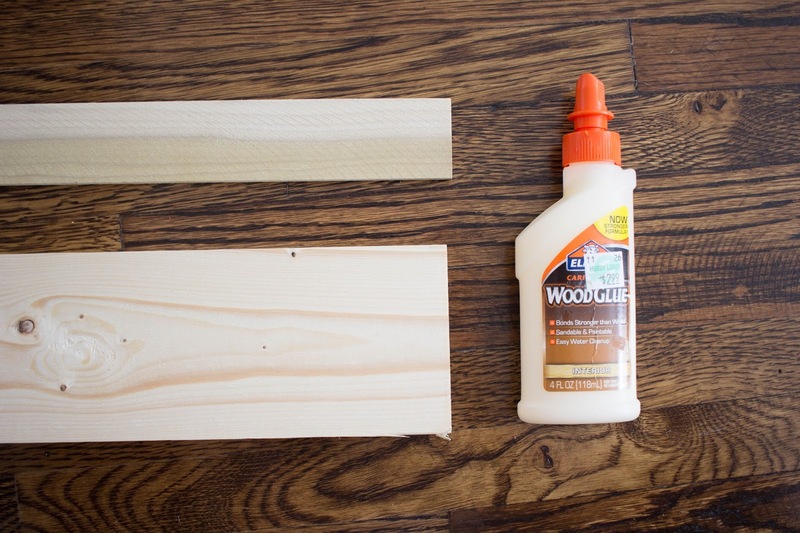 Next, I cut a piece of wood and a small strip of wood found at Home Depot to 32". I used good 'ole wood glue to attach the strip to the board. Then, I let it dry. Lastly, I painted my organizer white, evenly spaced out the hooks and attached them to the wood with the old screws. 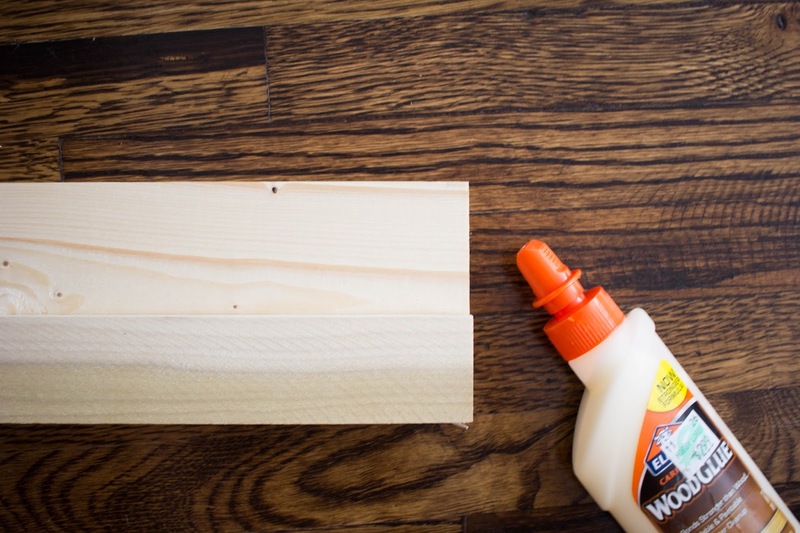 If your wood is rough, give it a good sanding before attaching to the wall (I skipped this part). I simply just screwed the organizer into the wall towards the bottom. You can paint over your nails to hide them if needed. 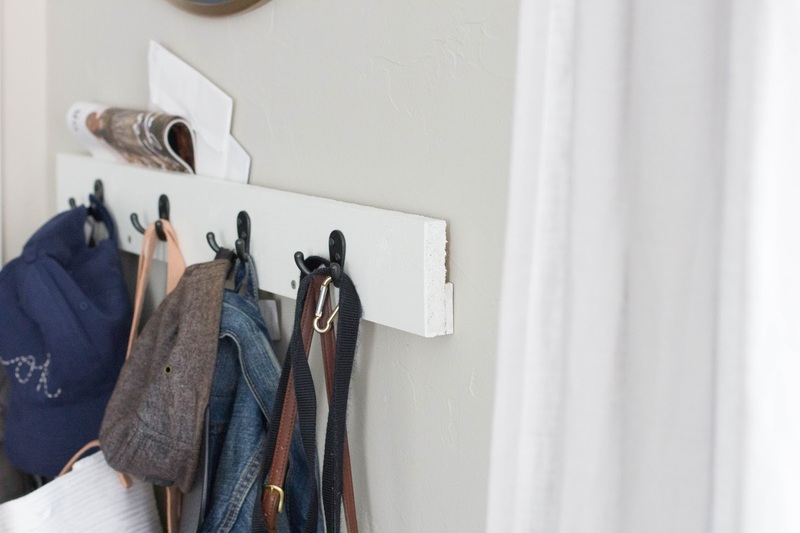 Is there a space in your home that you can free up some clutter with this simple DIY?